Our school has endeavoured to establish the open schooling facility to the students and has thereby ensured that our students make the fullest usefulness avail of this facility in the future. The NIOS Board is duly constituted under the Ministry of Human Resources Development, Govt. of India. This is the third largest board following the CBSE and the ICSE and has an equal leverage to that of CBSE and ICSE. With 2.2 million enrolments, NIOS becomes the world’s largest open schooling system. NIOS conducts its main exam twice every year, hence becoming a boon for students of other recognized boards within three months of their results being published. It also gives a possibility of carrying forwards the marks of the passed subjects from the failed mark sheets of students. The main advantage of passing Secondary (Grade 10) or Senior Secondary (Grade 12) through NIOS, instead of appearing from the same board, is that the student will be saving a year in his education. Another examination schedule under Stream 4 & 5 under the NIOS enables students to reappear for their examinations. Under these streams, examinations are conducted every month, except in the months of Oct – Nov and Mar –April, thereby conducting examinations 8 times in a year, excluding the two main examinations. Students who pass out of NIOS are qualified to seek admissions in All India as well as State Medical, Engineering and various competitive examinations such as IIT, JEE, NEET and other professional courses on all the universities across the country and many prominent universities overseas, as well. They are also authorized to seek Government jobs, be it state government or central government. We herein appeal to our parents to make optimal utilization of NIOS, which will remain a boon for our young champions. NIOS is "Open School" to cater to the needs of a heterogeneous group of learners up to pre-degree level. It was started as a project with in-built flexibilities by the Central Board of Secondary Education (CBSE) in 1979. In 1986, the National Policy on Education suggested strengthening of Open School System for extending open learning facilities in a phased manner at secondary level all over the country as an independent system with its own curriculum and examination leading to certification. To the evolution of a learning society. The National Institute of Open Schooling (NIOS) provides opportunities to interested learners by making available the following Courses/Programmes of Study through open and distance learning (ODL) mode. 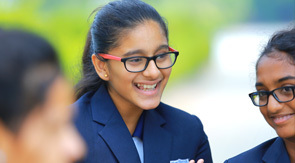 Open Basic Education (OBE) Programme for 14+ years age group, adolescents and adults at A, B and C levels that are equivalent to classes III, V and VIII of the formal school system. Envisages schooling by providing a learning continuum based on graded curriculum ensuring quality of education for children, neo-literates, school drop-outs/left-outs and NFE completers. For implementation of OBE programme, the NIOS has partnership with about 853 Agencies providing facilities at their study centres. It is a sort of academic input relationship with partnering agencies. The NIOS provides resource support (such as adaptation of NIOS model curricula, study materials, joint certification, orientation of Resource Persons and popularisation of OBE) to the voluntary agencies and Zila Saksharta Samities (ZSSs) etc., for implementation of its OBE programme. At the Secondary and Senior Secondary levels, NIOS provides flexibility in the choice of subjects/courses, pace of learning, and transfer of credits from CBSE, some Board of School Education and State Open Schools to enable learner's continuation. A learner is extended as many as nine chances to appear in public examinations spread over a period of five years. The credits gained are accumulated till the learner clears required credits for certification. The learning strategies include; learning through printed self-instructional material, audio and video programmes, participating in personal contact programme (PCP), and Tutor Marked Assignments (TMA). Enrichment is also provided to the learners through the half yearly magazine "Open Learning". The Study Material is made available in English, Hindi and Urdu mediums. The On-Demand Examination System (ODES) is in operation at Secondary and Senior Secondary stage. NIOS offers 28 subject in eight mediums (Hindi, English, Urdu, Marathi, Telugu, Gujarati, Malayalam and Odia) for Secondary Examinations and 28 subjects in Hindi, English, Urdu, Bengali and Odia mediums for Senior Secondary Examinations. Besides these, NIOS has provision of offering Vocational subjects in combination with Academic subjects at secondary stage and 20 vocational subjects in combination with Academic subjects at Senior Seondary level. Acknowledging the fact that the young entrepreneurs will be the wealth of the nation, the learner friendly Vocational Education programmes of NIOS provide excellent prospects for the learners. It offers Vocational Education programmes in different areas such as Agriculture, Business and Commerce, Engineering and Technology, Health and Paramedical, Home Science and Hospitality Management, Teacher Training, Computer and IT related sectors, Life Enrichment Programmes and General Services. Knowledge, skills and qualities of entrepreneurship have been made essential components in curricula for Vocational Education with emphasis on practical and on the job training in related industrial units. In order to upscale and place the Open Vocational Education Programme on a sound pedestal, NIOS is seeking collaboration with leading organizations in different educational development sectors like Industries, Medicines, IT etc. Within the overall provisions of the National Curriculum Framework (NCF-2005), NIOS has brought out a significant documnet titled "Vocational Educaiton and Training: A Framework on Curriculum Imparatives with a Foucs on Knowledge Acquisition and Skills Development: Initiative through Open and Distance Learning". It is hoped that this document with prove useful as the basis for preparing a well deliberated Programme of Action (POA) for implementation of Vocational Education Programmes through ODL. The NIOS programmes pay special attention towards requirements of the first generation learners, physically, mentally and visually challenged learners and candidates from disadvantaged sections of the society. NIOS operates through a network of five Departments, Regional Centres and Accredited Institutions (Study Centres) in India and abroad. It has a current enrolment of about 2.71 million students at Secondary, Senior Secondary & Vocational levels which makes it the largest open schooling system in the world. The Academic Department and the Vocational Education Department can be said to be the two most important departments of the NIOS. These two departments develop education programmes and/or courses to give opportunity to the learners to pursue the course of learning of their choice. Both the departments collaborate with each other to develop functional and need/based courses to benefit the learners. The Academic Department takes care of academic courses which encompasses the entire school education continuum from primary to predegree level. The Academic Department is engaged in development of curriculum and self learning materials, revision of learning materials, together with research and development activities and also provides support in the area of evaluation of learners. The NIOS Academic Department has the following units. "It’s great to be part of the school. Thanks to all staff for making MIS - The best international school in Tamilnadu, The school maintains very good communication policy for its students and parents always.I just wanted to say again a HUGE THANK YOU to all."